22. Piper Chapman (Taylor Schilling) Ugh. OK, so she's the low-key protagonist of the show but that doesn't mean we have to like her. 21. 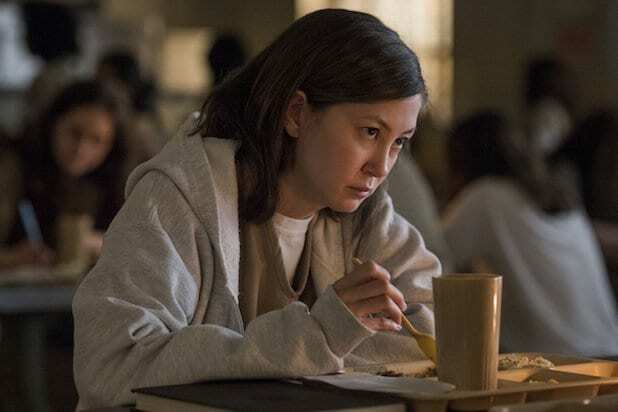 Brooke Soso (Kimiko Glenn) So we only really like Soso because Poussey was in love with her -- she's only cool in our book by default/association. Other than her connection to Poussey, Brooke is pretty annoying. 20. Angie Rice (Julie Lake) It's shocking that Angie of the Meth Twins doesn't manage to accidentally murder someone in Season 5. Funny, though, she and Leanne may be -- much of the season with her is pretty cringe-worthy. 19. 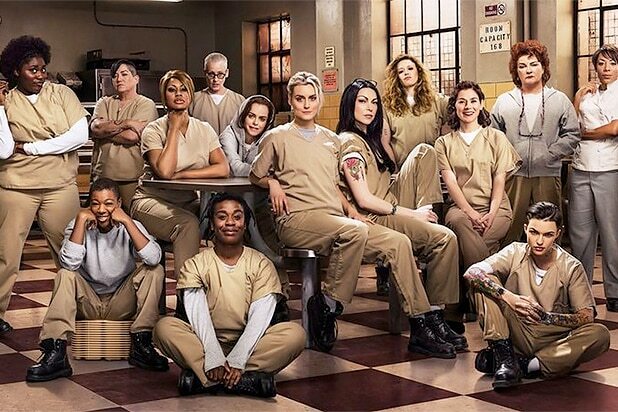 Alex Vause (Laura Prepon) Like Piper, Alex is feeling more and more like an extra on a show that doesn’t need her. Her decision to stay out of the riot in Season 5 also keeps her mostly out of the action. And while it’s probably the smart move, it means she’s not participating much in the Litchfield story at all. 18. Joel Luschek (Matt Peters) If there was a hierarchy of cool correction officers, then this dude would be at the top. He doesn't take his job as seriously as the rest and seems like he'd actually be cool to hang out with outside of Litchfield. Lazy, but cool. 17. Tiffany "Pennsatucky" Doggett (Taryn Manning) So we didn't always have a soft spot for Doggett, but we'd be lying if we said she hasn't grown on us. 16. Lorna Morello (Yael Stone) With the constant specter of her self-delusion hanging over her actions in Season 5, Lorna at least gets some vindication while she's mostly hanging out off-screen. But like a lot of the other characters, she’s a bit of a fifth wheel in a season that’s about more important things. 15. Joe Caputo (Nick Sandow) We have a love-hate relationship with Caputo. It's like, sometimes he does things that we applaud him for and other times he's just a creepy, old guy. Meh. 14. Maria Ruiz (Jessica Pimentel) As a riot leader, Maria comes into her own. With nothing to lose, she's pretty dangerous, but she's no fool. Too bad she didn't take more of a part in actually fighting to change Litchfield, where it feels like she could have done some good. 13. Janae Watson (Vicky Jeudy) Watson tells it like it is and we can't hate on that. She's a little rough around the edges so we don't know about being best friends with her, but she's 'aight. 12. Marisol "Flaca" Gonzales (Jackie Cruz) Flaca seems like one of the girls we may have been friends with in high school but only because we were still trying to figure out who we were. She's a thoughtful person and her friendship with Maritza Ramos tells it all. And her eyeliner is always on point. 11. Maritza Ramos (Diane Guerrero) Maritza could so be our riot buddy. 10. Dayanara "Daya" Diaz (Dascha Polanco) Yaaaassss Daya!! What's not to love about her? She's loyal, a loving person and a ride or die. 9. Sophia Burset (Laverne Cox) If you don't like Sophia, then we can't be friends. No argument. She's honestly one of the most loyal and level-headed inmates at Litchfield, plus she makes everyone look pretty. 8. Boo (Lea DeLaria) Boo’s turn as a mock trial defense attorney is straight-up one of the best moments of the season. The “Saved by the Bell” defense should be taught in law schools. 7. Gloria Mendoza (Selenis Leyva) Gloria’s one of the only characters on the show who gets a chance to contact the outside world and uses it for something other than Twitter and YouTube. Her story and the conflict that comes with it are high points for the drama of the riot and helps bring the craziness down to reality. 6. Frieda (Dale Soules) Netflix needs a "Frieda, the Girl Scout" spin-off show ASAP. 5. Suzanne "Crazy Eyes" Warren (Uzo Aduba) Not gonna lie, her character makes us feel uncomfortable at times (most times) but we would totally be best friends with Suzanne. 4. Blanca Flores (Laura Gómez) Blanca teaming up with Red to take down Piscatella is a great idea, even if the storyline is a bit marred by the seemingly randomness of their accidental speed addiction. We get a lot out of her character, and she says more lines than possibly ever before. And they’re all pretty funny. 3. Cindy "Black Cindy" (Adrienne C. Moore) We looooove Black Cindy. Sure, she can come off a little ignorant at times, but she's our comedic relief in little, dark, twisted Litchfield. Plus, she converted to Judaism so she'd get better meals -- how can we hate on that? 2. Galina "Red" Reznikov (Kate Mulgrew) Red is like the grandmother you never knew you needed. She's super caring, a great cook and isn't afraid to kill someone to keep her close friends safe. 1. Taystee (Danielle Brooks) Taystee is the heart and soul of Season 5. She’s the one keeping this whole riot thing from breaking down into utter nonsense (instead of just mostly nonsense). The show needs more of this.